First, I love shopping with the Grommet, and all they support. I purchased this set of BBQ utensils for a gift. The receiver said they loved them and would get many year of cooking with them. My son is doing a MAN CAVE in his basement and I thought that this is a good gift... He is so happy. His making beer and bring us a taste of everyone he makes.. Great gift.. And believe me, his very hard to buy for. 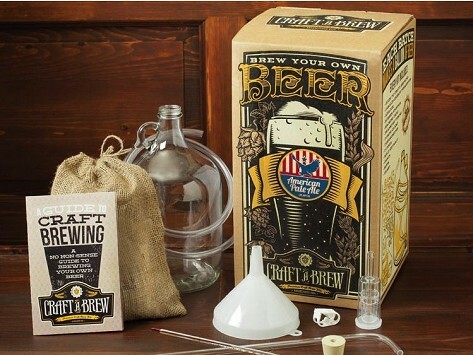 I bought this for my husband as a Christmas gift and now he has become a full time brewing hobbyist. It took us a while to actually do this project. But it was a fun activity that we did together. We had to get some additional supplies from our loca homebrew store (mainly bottles) but we look forward to using this same kit to try different beers in the future. Given as a gift to son in law. Hopefully I get an invite for a taste when he's done, but ge was quite excited in general.